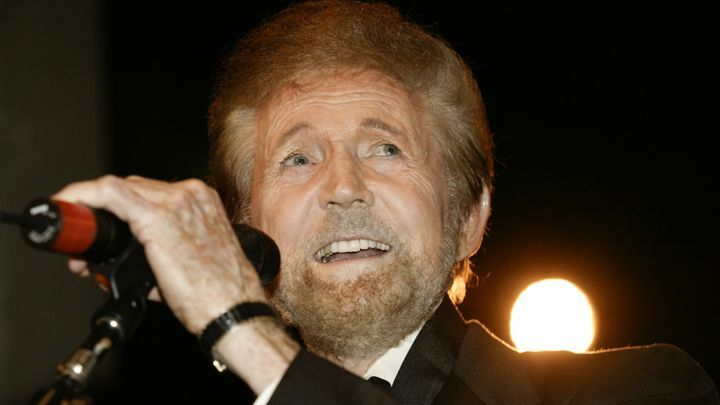 For nearly 20 years, Sonny James had ruled the country charts, but according to a statement on his website, the legend has passed away. It stated that James died on Monday at the age of 87 in hospice care in Nashville, Tennessee. As per the Country Music Hall of Fame and Billboard, the singer had spent 57 weeks from 1960 to 1979 at the top of the charts. In 2006, James had been inducted in the Hall of Fame. The singer was born in Hackelburg, Alabama as James Hugh Loden and began singing from the age four for the audience along with his other family members. Due to this effort, his family begun to host a radio show in Alabama. As a teenager, he took part in a lot of fiddle competitions and music remained a huge part of his life. ‘Young Love’, his biggest hit and in 1957, it reached the top of the country and Disk Jockey charts. What’s odd is that Tab Hunter recorded a second version of that second and even that found success. Both of these recordings were amongst the top 10 singles on Billboard in 1957. James managed to claim the Number 1 spot on the country chart for a staggering 23 times in total. From 1967 to 1971, he managed to establish a streak of 16 straight No. 1 country hits, which included ‘Here Comes Honey Again’ and ‘Need You’. This record was maintained by James till 1985 when it was broken by the band Alabama. He was regarded as one of the first artists in the country music format who had consistently seen his records cross over to the pop charts by Billboard. The official statement at his website said he had always been ready to share a funny story throughout his life. With his deep faith and boyish smile, this man never failed in using his gift to make every friend feel as if they were his best pal all steps of the way.